That was like an A to Z walkthrough of creating an online presence. Where was this 9 months ago! I could have used it. I’ve listened to your show, I love it. Thanks for this post, you covered just about everything! Arturo, what an VALUE PACKED POST! Thank you so much for sharing all of this incredible information about how you created and launched your podcast. And Christine, thank you for providing the platform! Thank you very much Paul and Kate ! 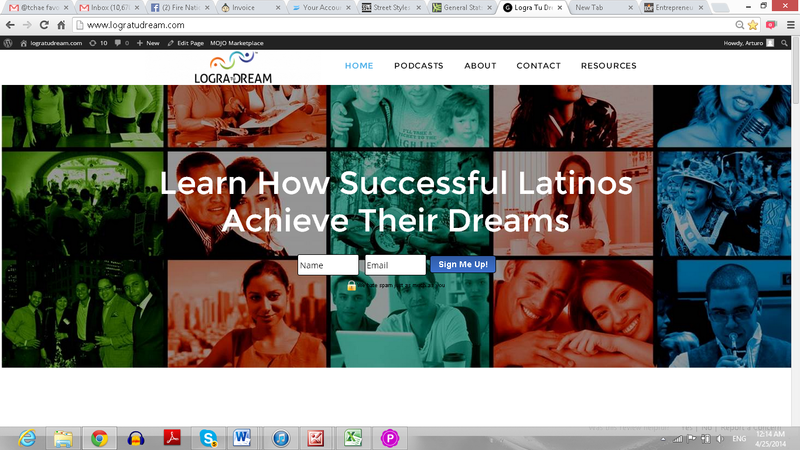 , it was a great experience creating this podcast. I am very satisfied with the start and how well it has been received. Could not have done it without your help and that of the other Fire Nation Elite members, you guys are awesome ! Very inspiring and full of great information! You are right, you can start a podcast and business for next to nothing! A lot of work, but totally worth it. While my friends are spending their time watching TV I am learning all about podcasting, websites and social media. I never thought I would be learning all this at my age, it is great to keep learning and growing! This is such an amazing post! A great, detailed step-by-step guide! Thanks Arturo! Thanks Maritza and Maureen ! appreciate your comments very much. I am glad it was a helpful guide to start a podcast ! Great overview and advice for anyone who is creating a podcast. You covered a lot of great tips in this awesome wrap up. Congratulations on your successful launch Arturo! Such a great guide for others to follow to launch their own podcast one day. Podcasting is such a powerful way to reach a new audience. Such great tips here. this is a step by step guide on creating a Podcast. You covered it all! thanks for sharing this! its just awesome! Arturo – kudos on your launch! What an exciting time. And thank you so much for this incredibly in-depth look at creating a podcast. Well done! You have an inspiring story and the resources you are putting out there to encourage others to live their American Dream are as well! Thank you for this article. I’m a huge fan! Thanks Melinda ! Appreciate your kind words and support ! 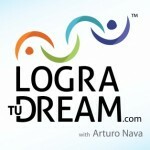 Great post – Arturo, I’m loving your show. It is an inspiration for all. As far as today’s post, thanks for giving us this walk through. It is amazing to see an idea come to life, especially when looking from the outside in sometimes gives an incorrect perspective. This is an honest look at what it took to get where you’re at! Thanks Sandy ! appreciate your comments ! yes I tried to document what it took to make it happen. Lot’s of work but definitely worth it ! This was amazingly helpful! I am really considering entering the podcast world and just bookmarked this page for future reference. Thanks so much. Wow Arturo this is a great post! So many people talk just about equipment and recording when creating a podcast. But, you are so right there is definitely more to it… building a website, creating your brand, building social media platforms… the whole nine yards! This is such an inspiring post, Arturo. Congratulations on your podcast launch! This is what makes our experience as an entrepreneur fulfilling – the ability to be help. Thanks for sharing this great piece.